Kidney stones are an all too common occurrence, affecting about 10% of the world population. The stones are actually a buildup of calcium, sodium, uric acid and other crystal producing substances. When these substances are produced in high quantities they bind together and form stones. Sometimes the stones are small enough to pass through the urethra themselves, and other times they are just too large and become lodged in the opening causing excruciating pain. If you are one of the unfortunate few to experience kidney stones there are several natural remedies you can try to ease your pain. Many people have achieved significant relief with these treatments, especially those with mild to moderate cases. Learn about five of the most popular natural options and see if one works for you. Nettle Leaf Tea – The Stinging Nettle is a plant commonly used to treat a host of ailments, including seasonal allergies, but it can also help to combat the pain of kidney stones. 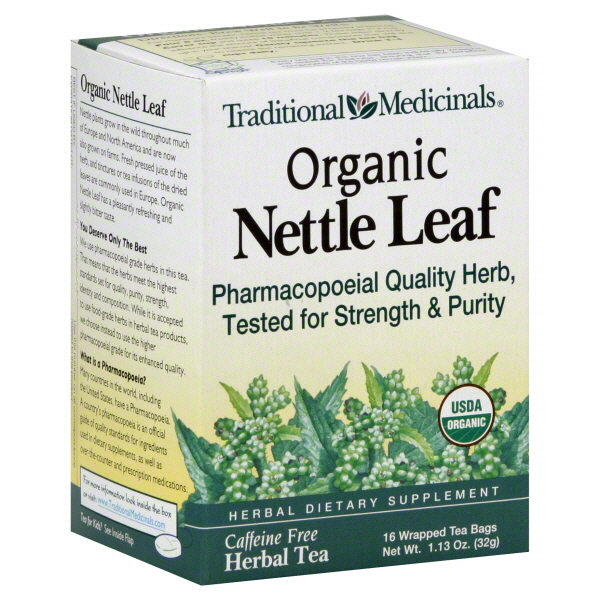 That’s because Nettle Leaf Tea works as a powerful diuretic to flush out toxins and minerals. Not only will this halt the growth of the existing stones, it can actually help to prevent the formation of new stones. It will also work to prevent urinary tract infections, one of the common contributing causes of kidney stones. Kidney Beans – There is a reason that these popular legumes were named after the human organ. Not only do they resemble the kidneys in shape, kidney beans also contain B vitamins and minerals that can help to improve kidney and urinary health. Simply cook the beans in water, then strain the liquid, let it cool and strain it again. You can then drink the liquid and eat the beans to double up the healing power of this amazing natural food. Pomegranate Juice – While most people are aware of the connection between cranberry juice and good kidney health, fewer realize that pomegranate juice is even better for you. Not only does it have powerful anti-oxidant properties that will help to flush toxins from the body and reduce the growth of kidney stones, it can actually prevent the formation of new stones. Just a serving or two a day could make all the difference when it comes to the health of your kidneys. Lemon Juice & Olive Oil – For smaller stones, a combination of ¼ cup of lemon juice and ¼ cup of olive oil can be quite effective at breaking up the stones and helping them to pass naturally. Simply combine the two and drink the mixture then follow it with a glass of water. You can find organic juice and oils that are free of additives in order to ensure that you are maximizing the healing benefits. Apple Cider Vinegar – This is one of the more effective natural remedies, known to have a host of healing benefits, among them the ability to help break up and flush out kidney stones. And just like pomegranate juice, it can also help to prevent the development of new stones. Take two tablespoons of Apple Cider Vinegar first thing in the morning, two more at mid-day and two in the evening to get the full healing benefits. To make it easier to take, you can combine the Apple Cider Vinegar with a natural sweetener like honey and about 4 ounces of water. Can these remedies really work? As with any natural or conventional treatments, what works for one person might not work for another. If you do have kidney stones, talk to your doctor about these 5 natural remedies for kidney stones and see if one or more of them might help relieve your problem, or at the very least reduce some of the pain associated with the condition.